Our talented team of professionals are driven to meet challenging IT needs, while reducing risk and improving productivity. We deliver impactful solutions and services through strategic assessment and design, followed by professional deployment and support. 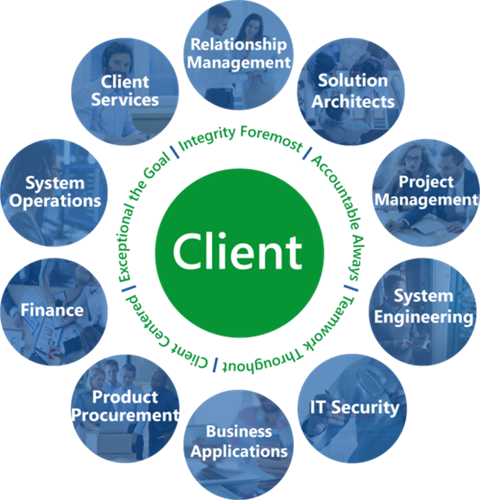 Our passion is to enable your success by being your complete IT Partner.